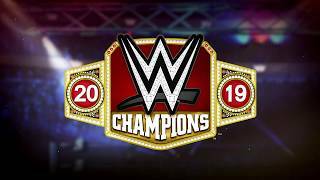 2K today officially announced the Collector's Edition of WWE 2K19! It's called the "Wooooo! Edition", and it's centered around the 16-time World Champion, global pop culture icon and WWE Hall of Famer Ric Flair! "The Nature Boy" will be honored through exclusive and collectible memorabilia, including a commemorative plaque with iconic robe sample, vinyl figurine, replica WWE Hall of Fame ring, digital content and more. The WWE 2K19 Wooooo! Edition will be limited to 30,000 copies worldwide and will be available exclusively for PlayStation 4 and Xbox One at participating retailers for a price of $129.99. With the announcement, 2K also revealed the content of the WWE 2K19 Deluxe Edition which, as always, will be featured as part of the Collector's Edition as well. Check out all the details below! "For all of my fans around the world, it’s exciting and humbling to see my career immortalized through the power of video games. This is going to be one stylin,’ profilin,’ limousine riding, jet flying, kiss-stealing, wheelin’ ‘n’ dealin’ son of a Collector’s Edition, and you don’t want to miss out. Wooooo!" 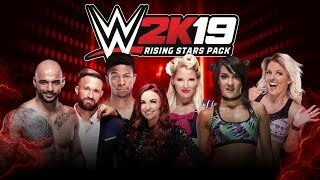 Players who purchase the WWE 2K19 Wooooo! Edition or the WWE 2K19 Deluxe Edition at participating retailers will receive Early Access to their game copies and in-game bonuses beginning four days early on Friday, October 5, 2018 for PS4 and Xbox One. For the details on all WWE 2K19 Standard, Deluxe and Collector's Editions, head to our WWE 2K19 Game Editions Comparison Page. For more info on WWE 2K19 check out the News Section and the WWE 2K19 Roster Page!